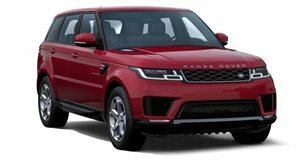 Land Rover is about to launch a new version of their famed Range Rover Sport. Dubbed the "Limited Edition," it is being positioned between the HSE and the Autobiography Sport. Exterior colors choices are limited to just three: solid white, black, and bronze. Land Rover further distinguishes it with 20-inch alloy wheels, a soft top roof, heated steering crown, unique leather upholstery with contrast stitching, and a Hi-Fi Harman/Kardon stereo with subwoofers and 13 speakers. The only engine on tap is the 3.0-liter turbodiesel V6 with 245 hp. European pricing will start at around 110,000 Pounds. At this point, it&apos;s unclear whether the automaker will import it to the U.S or the rest of Europe, as it&apos;s only been confirmed for the Dutch market so far.